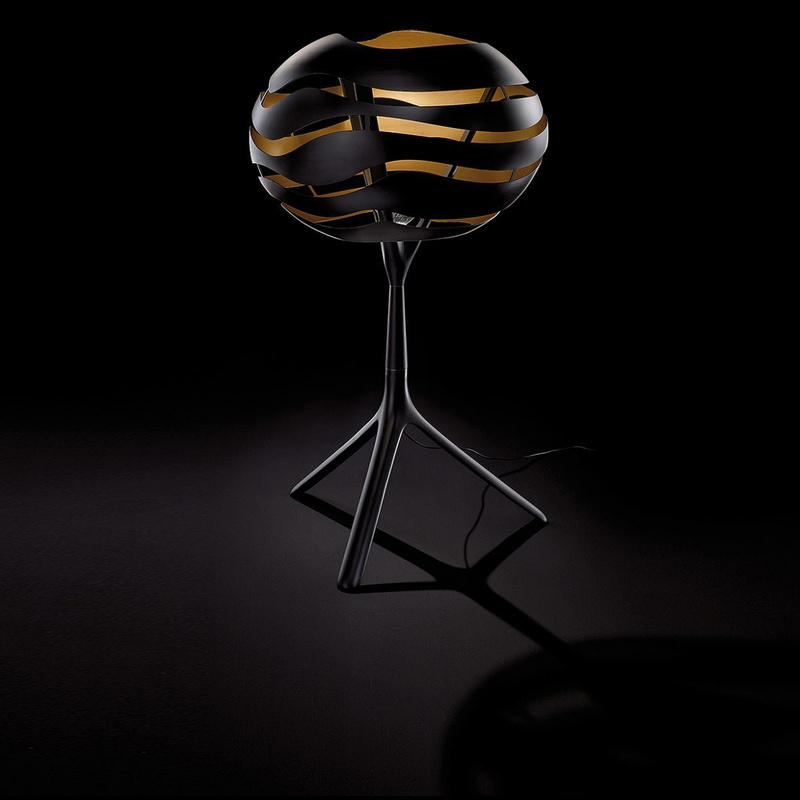 The Tree Series T50 table lamp: all B.Lux’s originality in a single piece! 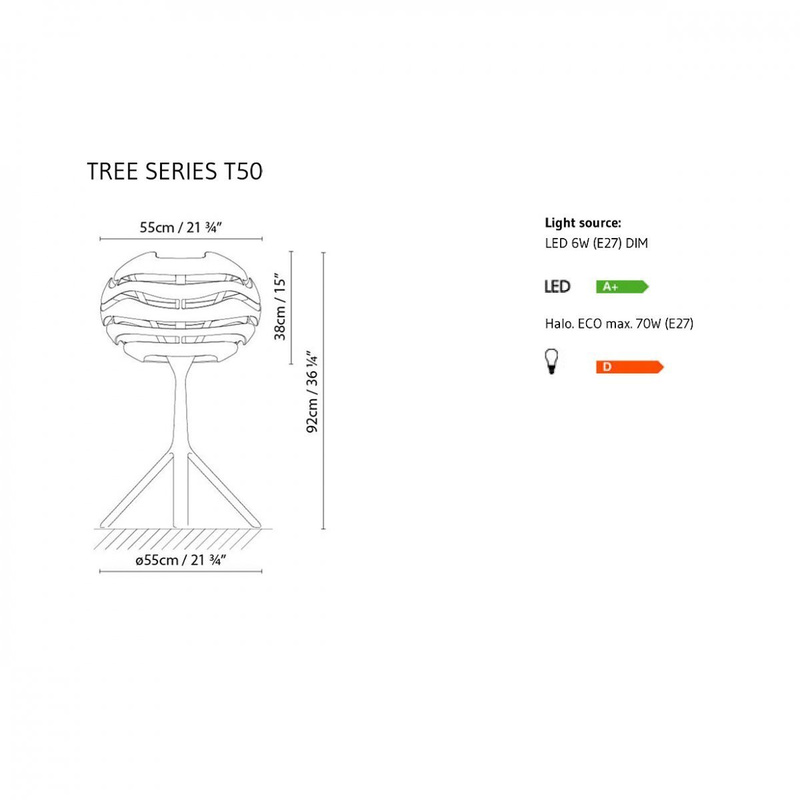 The Tree Series T50 table lamp is obviously a lighting fixture yet calling it a design piece is not wrong at all! 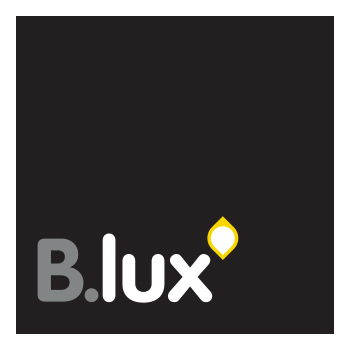 Produced by B.Lux, a brand that has made inspirational and bold design its trademark, this lamp is very close in style to other pieces by the same brand, making a combination of these perfect for those who love sinuous lines. The Tree Series T50 table lamp is made entirely in aluminium, a material well-known and appreciated for its resistance: this sturdy metal is used for both the lampshade and the supporting structure, which is minimalist and linear. 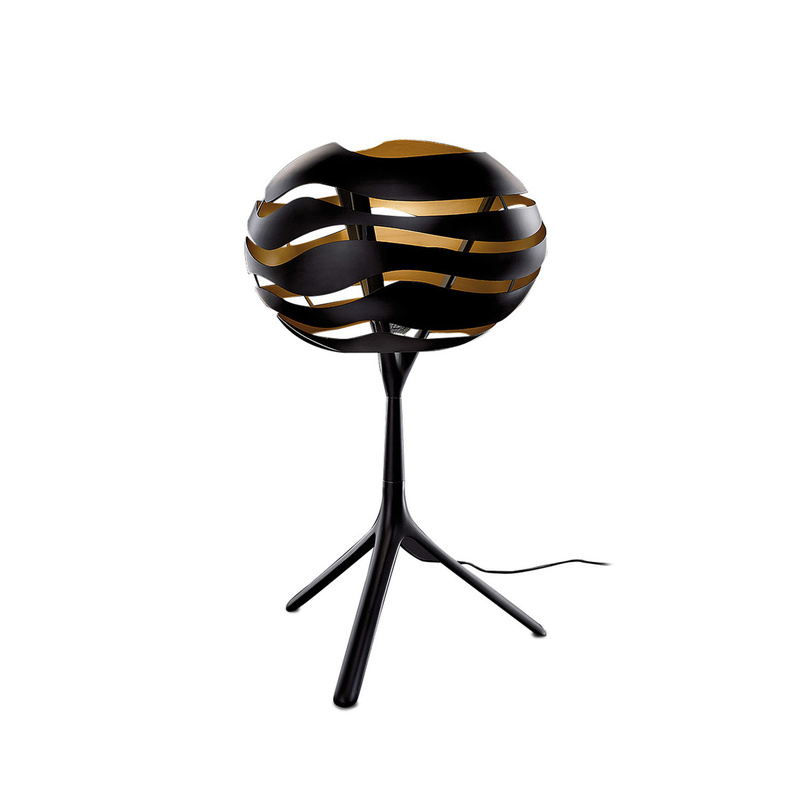 The most striking feature of this lamp is without a doubt the look of its lampshade, which is in a soft and round shape embellished by a series of horizontal ‘slits’ that allow you to glimpse the inside of the object and enjoy the chromatic contrast between the black exterior and the warm golden interior. Powered by traditional cable, this table lamp is so captivating that it is sure to never go unnoticed, but where to place it? Possibilities are endless, and vary from table to desk, from home to study, and although it is a very original element it is an item that is suitable for the most diverse contexts. The Tree Series T50 table lamp can also be a great idea for a gift, perhaps for a person who loves interior decorating. Information: Light bulb not included (recommended: E27 LED, Halo; 230V). CE, EAC, CUL certified. The lamp is dimmable. Cable length: 190 cm.